Remember when I posted a healthy tip about eating protein within 30-60 minutes after exercise? 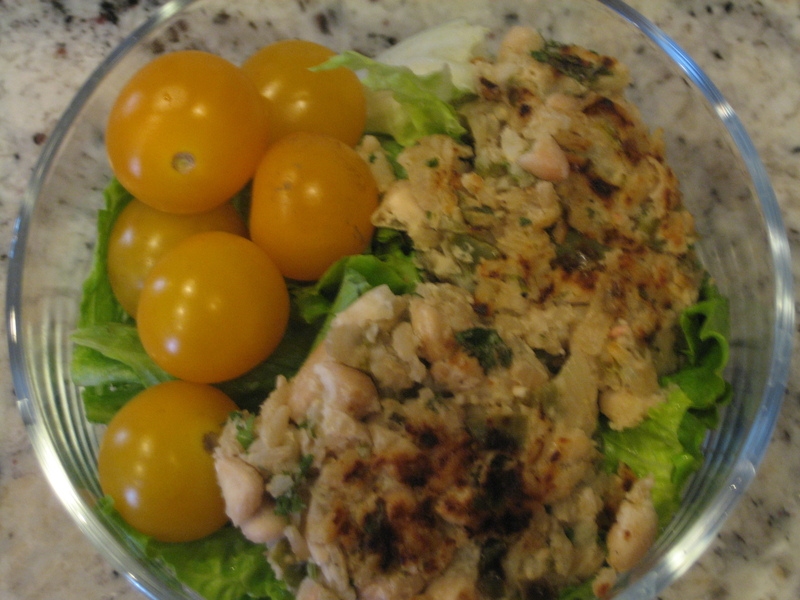 Well, check out this article on recovery and some post-workout meal ideas – Post-Workout Meals! It was tough to get up this morning! Monday’s seem to do that to me. As much as I plan a workout for a Monday morning, it never works out. Which is why I always use Monday as a rest or cross train day, then I never feel guilty about sleeping in. Anyways, on to breakfast! 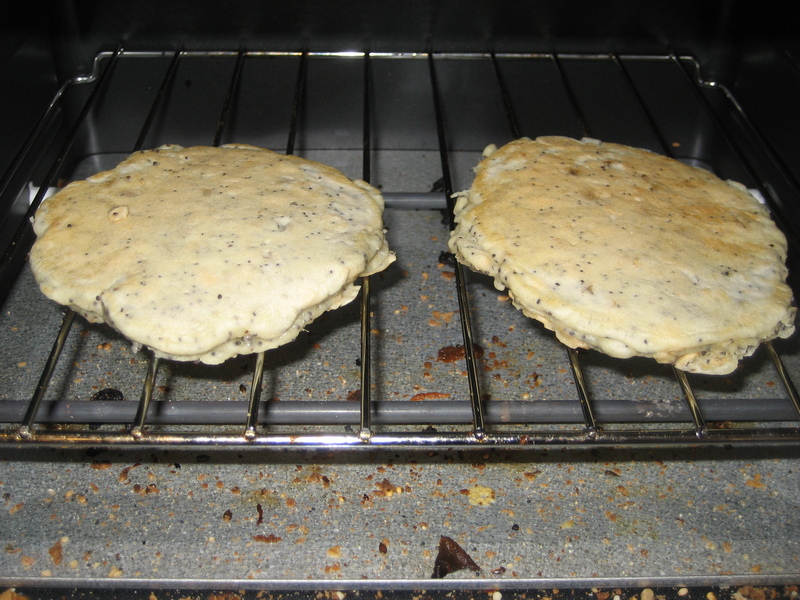 I heated up the 2 leftover poppyseed pancakes from Saturday morning. 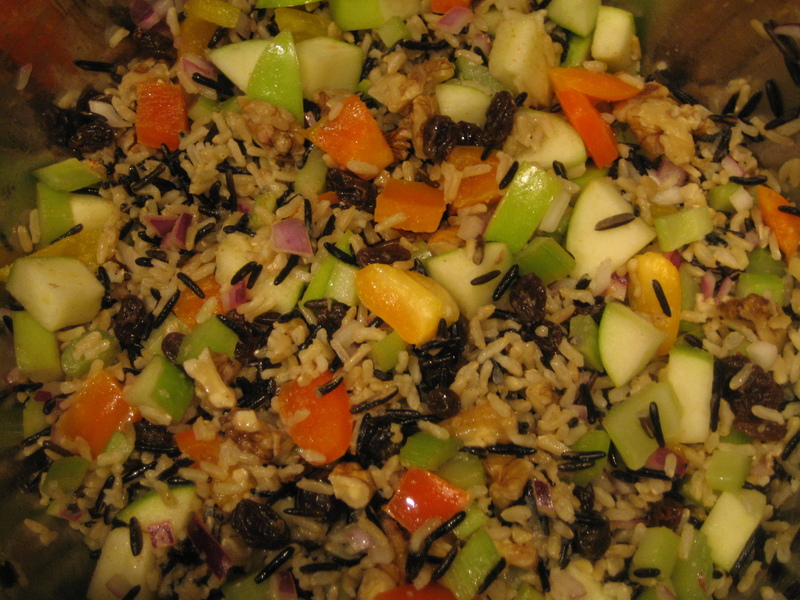 I could not let these guys go to waste because they were so good and packed with oatmeal and other good carbs. 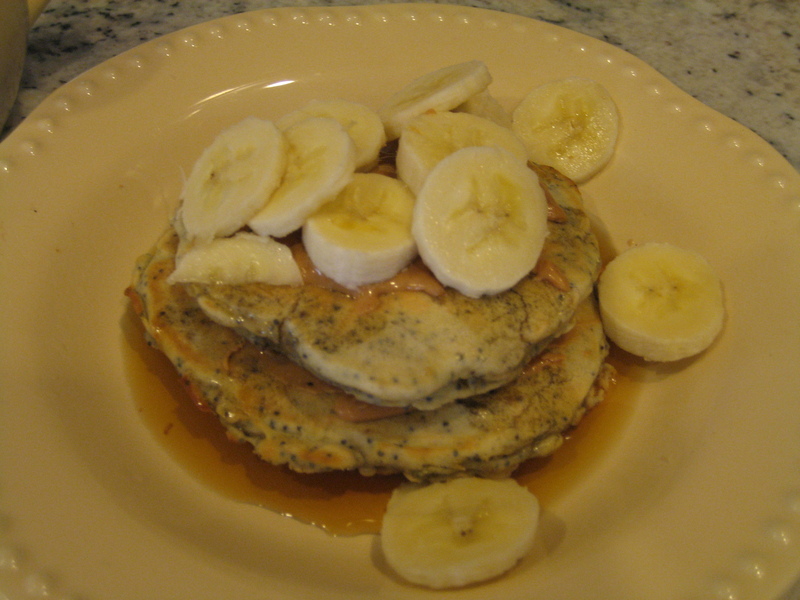 I topped my pancakes with a spread of peanut butter, 1/2 sliced banana and a drizzle of pure maple syrup. It was just what I wanted this morning – perfect way to start a Monday! 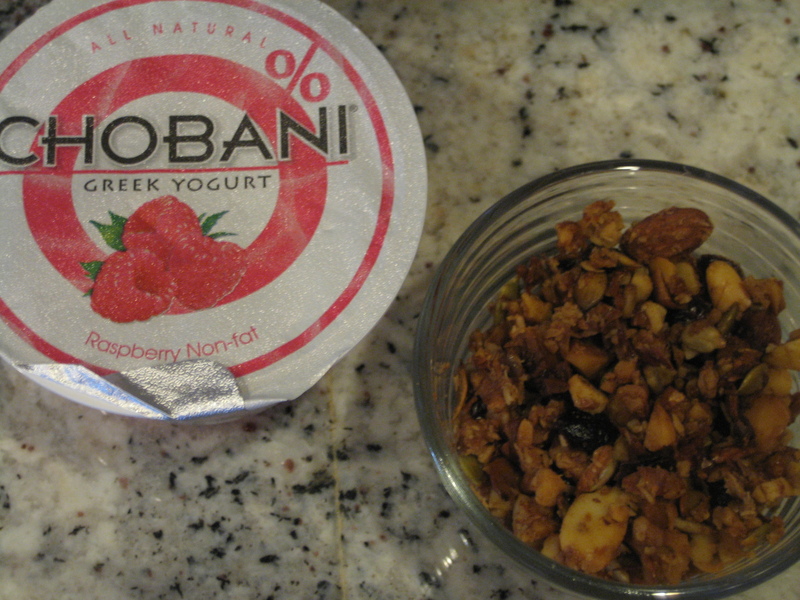 I finished lunch with a Chobani Raspberry Greek Yogurt topped with homemade granola. This is a new chobani flavor! I haven’t seen it in any stores around here yet, but I love the flavor. Thank you, Shari for sending me a few samples! As I have said before, I prefer plain greek yogurt and the addition of my own toppings, but if you like flavored yogurts or need a sweet treat in a pinch, buy this flavor!! So good! The thing that I love about flavored greek yogurt over other yogurt is that they are not too sweet. I love Fage and Oikos too (really, I love them all). 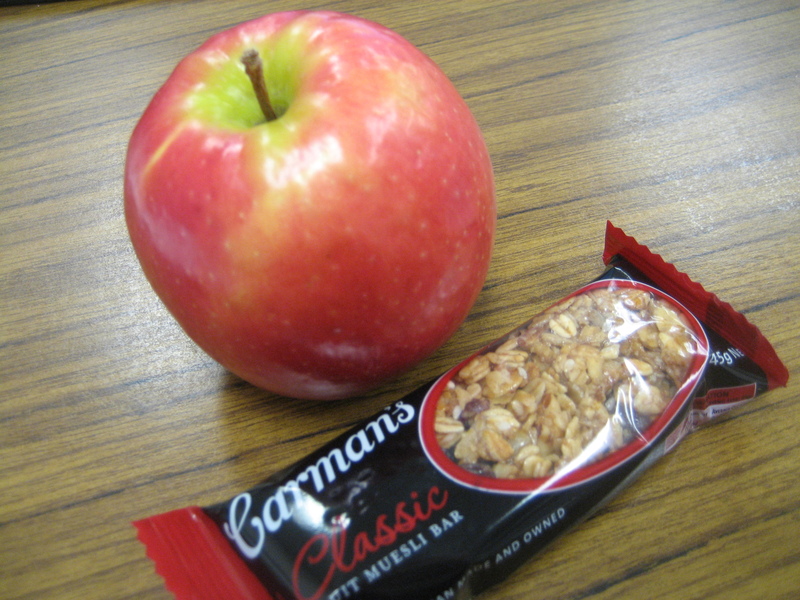 I snacked on a Jazz apple and a granola bar this afternoon to hold me over until my dinner date with Kate! Kate and I made a delicious dinner! 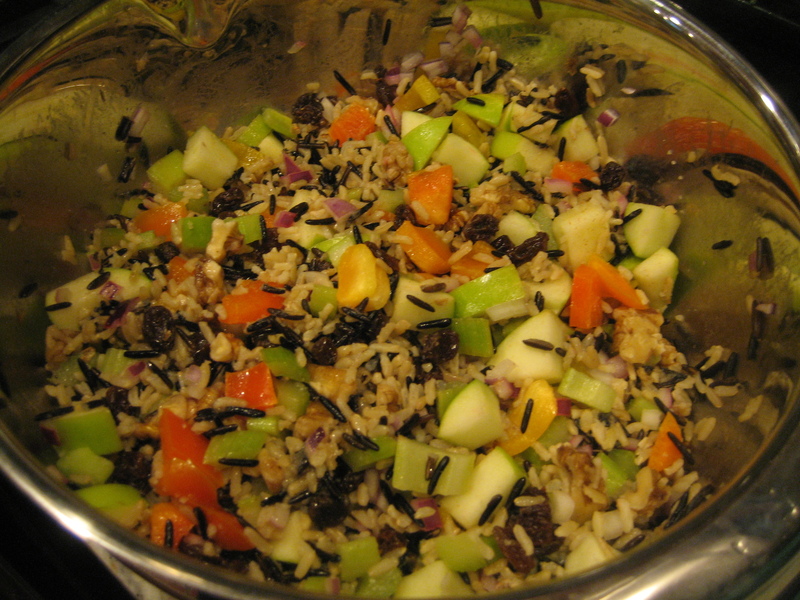 We whipped up my favorite Wild Rice Waldorf Salad (see the recipe here). Luckily, Kate loved it to! I love girl’s night – a delicious meal, wine and chatting -what could be better?! I hear you on the Monday morning thing. Great idea planning around knowing it is hard to get started on that day.